HOBOKEN, New Jersey (WABC) -- Commuters are continuing to feel the impact of Thursday's train crash in Hoboken. -	Trains into New York Penn Station will operate on normal schedules. -	All New Jersey Transit trains on the Main, Bergen Pascack Valley and Port Jervis lines will run on weekend schedules until further notice. They will also start and end at Secaucus Junction instead of Hoboken. -	All NY Waterway Ferry routes are operating and accepting New Jersey Transit tickets for ferry service to Manhattan October 3. - Main, Bergen, Pascack Valley and Port Jervis lines will continue to operate on a weekend schedule originating/terminating in Secaucus, with stops at Teterboro and Woodcliff Lake stations (weekdays only). -	All rail service to and from New York Penn Station will operate on a normal weekday schedule. 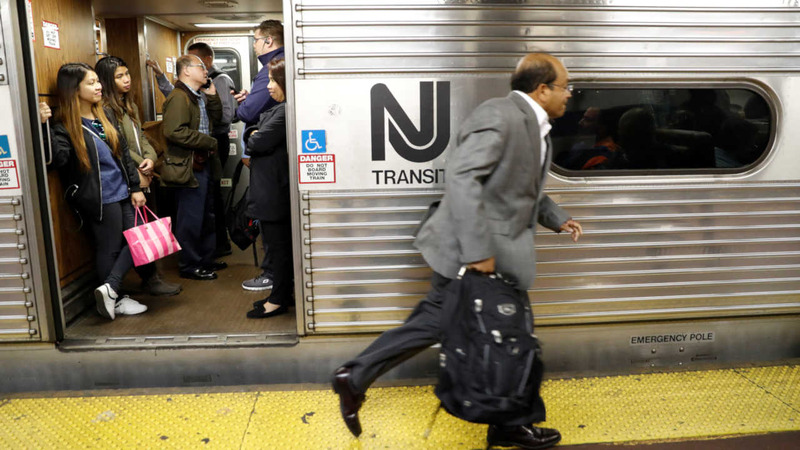 This includes Northeast Corridor, North Jersey Coast Line and MidTOWN DIRECT trains. -	Raritan Valley and Atlantic City Rail Lines will operate on normal weekday schedules. New Jersey Transit and private carrier busing alternatives. -	Customers in Hoboken and Jersey City who need to access Secaucus are urged to use Hudson-Bergen Light Rail to Liberty State Park, where shuttle buses will take them to Secaucus. -	Morris & Essex Line, Gladstone Branch and Montclair-Boonton Line will have limited service running every two hours for points west of Montclair State University and west of Dover, in addition to regular MidTOWN DIRECT service. -	Please note: MidTOWN DIRECT service will make additional stops east of Summit. -	Extra service on select bus routes which run parallel to Main/Bergen and Pascack Valley rail lines. -	Shuttle buses will operate between Liberty State Park light rail station in Jersey City and Secaucus Junction. - All Hudson-Bergen Light Rail service has been restored into and out of Hoboken and will continue to operate on a normal weekday schedule.